Champions Building Champions is a highly successful summer athletic mentoring program that connects Duluth youth with college athletes. 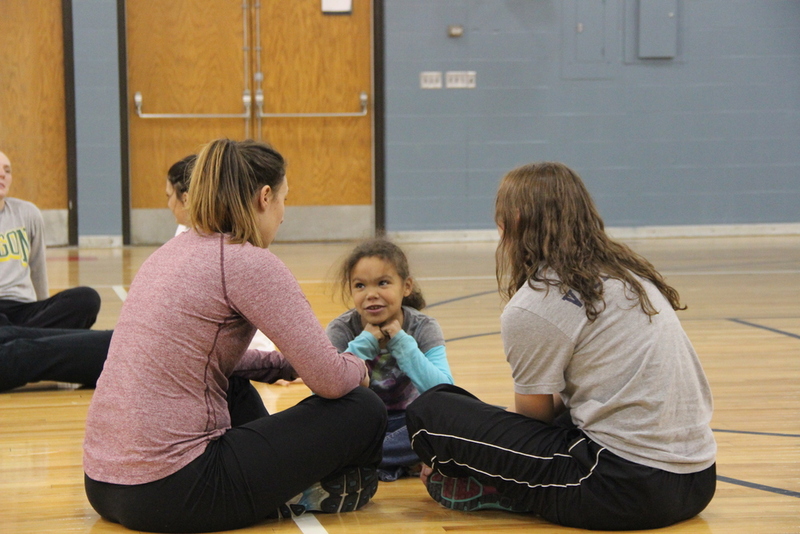 With the help of our partners, Arrowhead Youth Soccer Association, UMD athletics, the Boys and Girls Club, and Duluth Parks, we run weekly sports sessions for youth. Our activities are free and open to everyone. 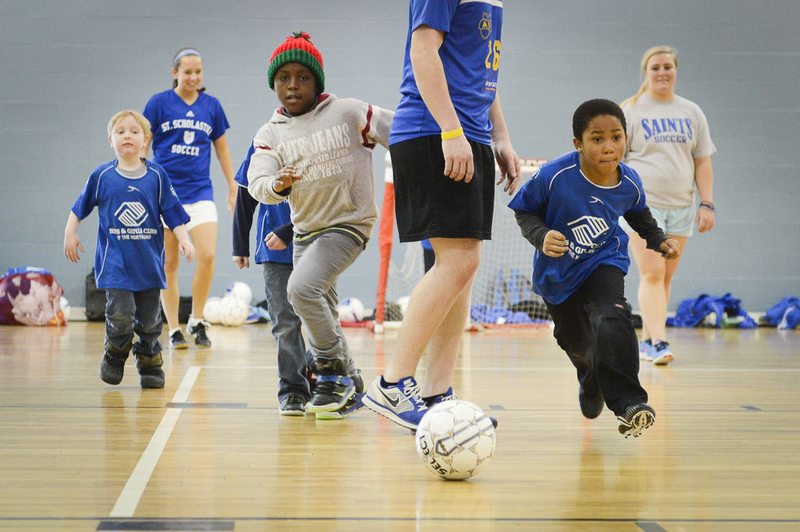 We provide athletic opportunities for all youth, regardless of economic background. All activities are facilitated by collegiate athletes who focus on building constructive relationships with the youth involved. By providing kids with strong male and female role models we strive to instill positive values: respect, gender equity, commitment, and leadership. Kids need positive role models and positive messages. 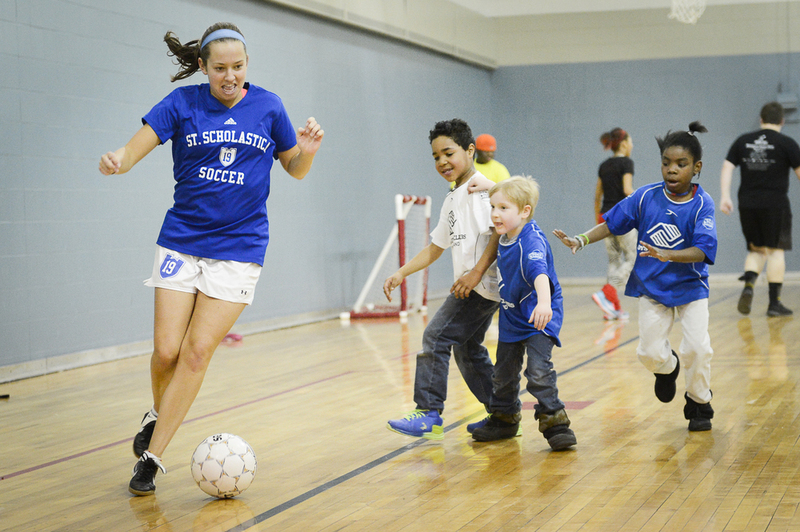 We bring together over 75 college athletes and 450 kids in our community annually. In addition to sports, our curriculum also engages youth in conversations about difficult issues. We provide a space for kids to talk about self-confidence, bullying, violence, equality, respect, involvement in crime and truancy, expanded understandings of masculinity and femininity, and their future goals and aspirations. These conversations are guided by athletes and staff trained in healthy youth development and prevention of violence against women and children. By shaping the environment our youth play in today, we can impact the decisions they make tomorrow. Using athletics to connect local college athletes and area youth for mentoring and violence prevention, the Champions Initiative now includes a network of over 75 volunteer athletes serving an average of 50 youth per week.